The countdown is here. 9 days until we send our valiant troops into battle. As spectators, we will stand on the edges of the battle zone, wishing to be closer to the action, begging for our team to draw first blood and ultimately and arguably most importantly, win. Here, will will discover how each side is shaping up ahead of what is sure to be the biggest season ever of the Hyundai A-League. 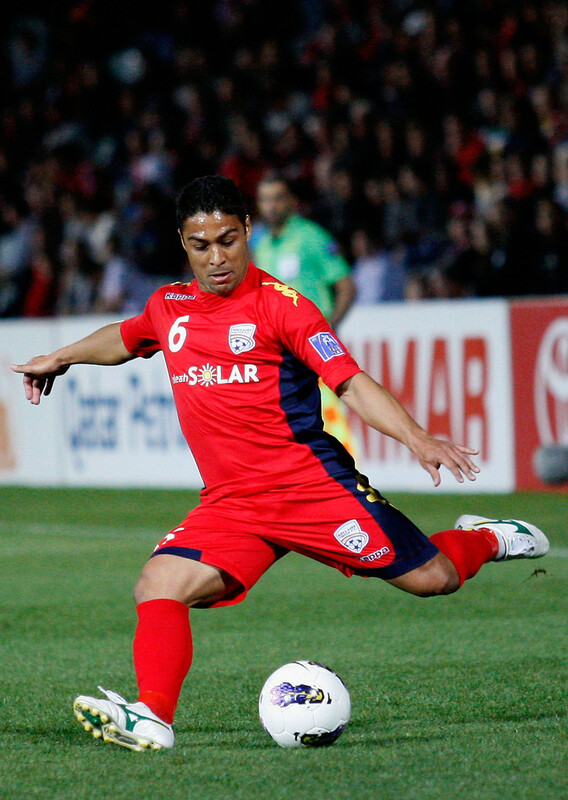 Adelaide United may have missed out on bringing back their golden boy Marcos Flores to the City of Churches, but the club did manage to secure a deal with Kappa to be the new shirt provider for an initial two year deal back in early July, 2012. It is the classic rags to riches story as the club walk away from Errea and gladly into the arms of the Italian kit designer that has been around since 1916. Now at least Adelaide have a chance to not only win in style but also with class. With John Kosmina commanding the likes of Bruce Djite, Iain Ramsay, Dario Vidosic and Cassio as well as new Argentine imports Jeronimo Neumann and Marcelo Carrusca, it will be hard to see how Adelaide will fail to make the top six come the end of the season. 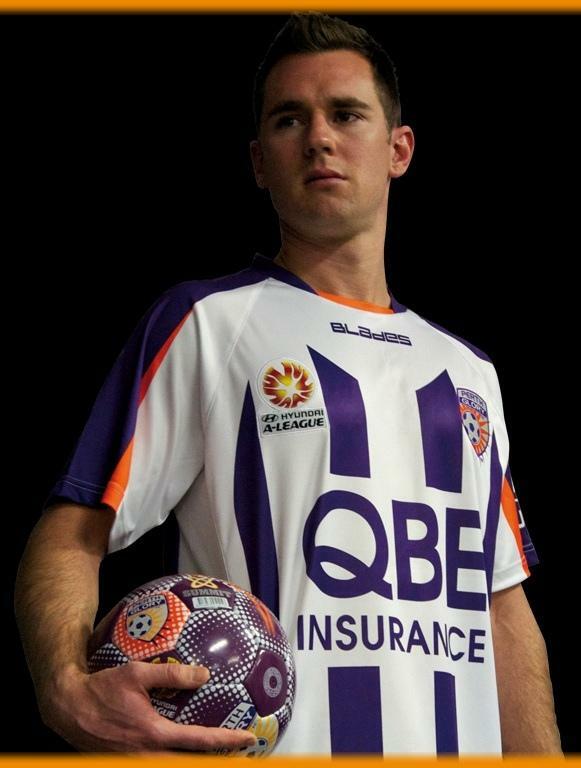 Famous for their tiki taka brand of football, Brisbane Roar or Roarcelona for short, may still play in one of the best football kits in the league but it appears as though they may have lost the shine that won them the 2011/12 Premiership. With the departure of Kofi Danning (Cercle Sportif Vise, Belgium), Mohamed Adnan (released) and Issey Nakajima-Farran, not to mention the maestro, Ange Postecoglou, it is almost certain the club will struggle at the start of the season. Key to Brisbane’s level of success will be Thomas Broich. With him in the starting side, Brisbane will do just fine. No sane person wants to even consider a world in which Thomas Broich is unable to play for the only team in Queensland. When you think a jersey seem too busy, clubs will generally work towards quieting them down a little. For the boys on the Central Coast, the kits are so quiet that there is every possibility that if the football is not to a high enough standard, fans will fall asleep. Known for his love of the 4-4-2 structure allowing his wing backs to join the attack, Graham Arnold decided to stay with the Mariners and not jump ship to the side most commonly known as Bling FC. Whilst waving goodbye to Stuart Musalik, John Sutton, former captain Alex Wilkinson as well as the famous Mustafa Amini, the club wasted no time in filling the gaps in their squad. Welcome Zac Anderson, Mile Sterjovski, Brent Griffiths and former Sheffield United midfielder, Nick Montgomery to Gosford. Just a helpful hint; pink is not a very good colour for Mat Ryan. 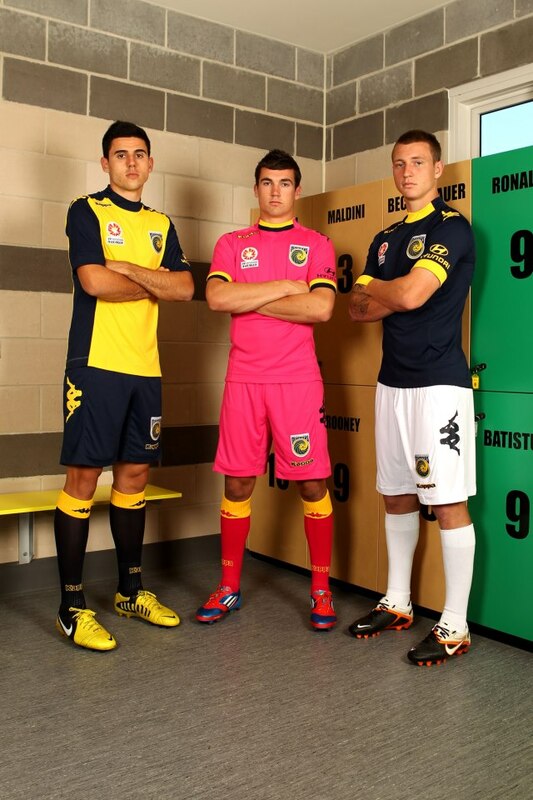 Introducing the A-League’s third squad proudly (and quite happily) wearing a stunning kit designed by Kappa. Rookie coach John Aloisi will take over a head coach now that John van’t Schip has headed back home. The only other experience Aloisi has as a coach is last season with Melbourne Heart’s Youth League side. Having secured the signatures of Socceroos winger/striker Richard Garcia and target-man Dylan Macallister, the main issue with the squad is depth. Aloisi will hope that his players manage to stay injury free otherwise this could be a very long season for the red side of Melbourne. Enter Ange Postecoglou. Armed with a football brain that never stops running. The ‘tinker’ man might have become famous for his 4-3-3 system at Brisbane Roar but it is his use of a false number nine and much more conventional 4-2-2-2 that is turning heads around town. Three players would be the difference between the club potentially ripping the competition apart or being a step behind everyone else come kick off. Spase Dilevski, Adama Traore and Marcos Flores. When these three footballers are in the right frame of mine, Victory will be near unstoppable. On a sad note though, it is disappointing that Melbourne Victory were unable to change their away strip from the council working fluro yellow to something easier on the eyes. After the return of Gary van Egmond to the Jets head coaching position last season, the club has looked to sure up a number of key areas in their squad, sending 10 players on their way and welcoming in 10 new footballers. What do you get if you cross a football and Emile Heskey? Arguably, Perth Glory have had the best off-season recruiting well, strengthening key areas and most importantly fixing up Shane Smeltz’s nose after they realised that covering half his face with tape didn’t make him look any prettier. Ian Ferguson has said numerous times he wants good depth in his squad with two players for every position. Heading into the new season and he’s got that. With the second coming of Nick Ward as well as the addition of Scott Jamieson, Michael Thwaite and Ryo Nagai, Ferguson has built a team more than capable of winning the competition. The only way the club could improve is if the person who continues to ring that annoying cow bell whilst standing in The Shed (Perth Glory’s supporter base) stops for just a few moments, I might not suffer from migraines everytime I watch the boys in purple kick a ball around. Alessandro Del Piero. A god among men. Need I say more. Ian Crook set the tone quickly when he was made head coach sending nine first team footballers on their merry way. This meant Crook would be able to build his own team. His legacy. And what a team he has built. Ali Abbas and Fabio both well known to the A-League were among the first to be signed. Following them was the third and somewhat forgotten Griffiths boy, Adam. Then the unknown players made their entrance, Yairo Yau on loan from Sporting San Miguelito, Panama as well as Croatian striker, Krunoslav Lovrek making a move from Qingdao Jonoon of China. Despite having a less than brilliant pre-season filled with cancelled matches and injured superstars, Sydney should do well this season. 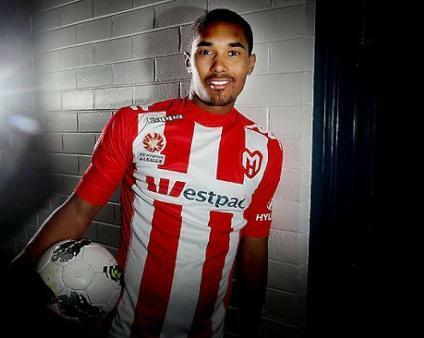 If nothing else, Sydney will be playing in what has easily become the best looking football kit in the league. Don’t let the 2011/12 Hull City jersey get the better of you, Wellington Pheonix look to play a brand of football which is almost as generic as their kit. Having lost Tim Brown to retirement, Brent Griffiths to the Victorian Premier League and Nick Tsattalios to the NSW Premier League, the Phoenix are a club who when the best of clubs will struggle against when playing at Westpac Stadium. With the return of Jeremy Brockie (albeit without his famous dreadlocks) to New Zealand as well as 26 year old Soloman Islands international striker Benjamin Totori, the issue was how many goals Phoenix were going to concede. Enter former Gold Coast United man between the sticks, Glen Moss. Adding to their defensive unit is New Zealand international centre back Michael Boxall. The Phoenix will do well when playing at home again this year, but the club really needs to work on their away form if they have any chance of making the top six. The newest side to enter the competition. Admittedly seven years later than anyone would have hoped. The anticipation of being the only team in the competition to be wearing hoops were quickly dashed upon seeing the design for both the home and away kits. The lines are too thin, the team logo looks suspiciously similar to a design I created in my notebook and released to the world via the powers of twitter and the A-League logo continues to look out on place on the front, away from it’s rightful home on the sleeve of a jersey. Tony Popovic was given the top job, one which raised some eyebrows. On one side, hooray for an Australian coach taking the role. On the other, Popovic’s education as a coach was only just beginning overseas when he came ‘home’. That said, Popovic has recruited well, signing Ante Covic and Jerrad Tyson to battle it out for the goalkeeping position. Shannon Cole, Nicolai Topor-Stanley, Michael Beauchamp (captain), Tarek Elrich, Adam D’Apuzzo and Iacopo La Rocca left to argue who will be in the starting defensive unit. Midfield maestro Aaron Mooy has been left to dictate play with Jérome Polenz, Youssouf Hersi, Mateo Poljak and Jason Trifiro among his soldiers to rely on for support. Up front, being the heroes of the day; Tahj Minniecon, Mark Bridge, Labinot Haliti, Dino Kresinger and Kwabena Appiah-Kubi. The A-League is a battleground. Filled with young personnel full of enthusiasm, vetrans who have ‘seen some things’, and leaders who know that there will be casualties and are willing to take a risk to see what happens. Brisbane Roar might have lost their almighty leader but need to have belief that is the players that make a club great and not just one man. Central Coast Mariners will understand in time the affect of shipping off their rock in defence to another country. Sydney FC might have the ‘wow’ factor and egotism on their side but it is how they perform day after day that will get people back on their side. For Western Sydney Wanderers, pray that the team survives the conflict. Being the child created by Football Federation Australia, there is no need to play favourites. The time is now. The war is here. Game on.